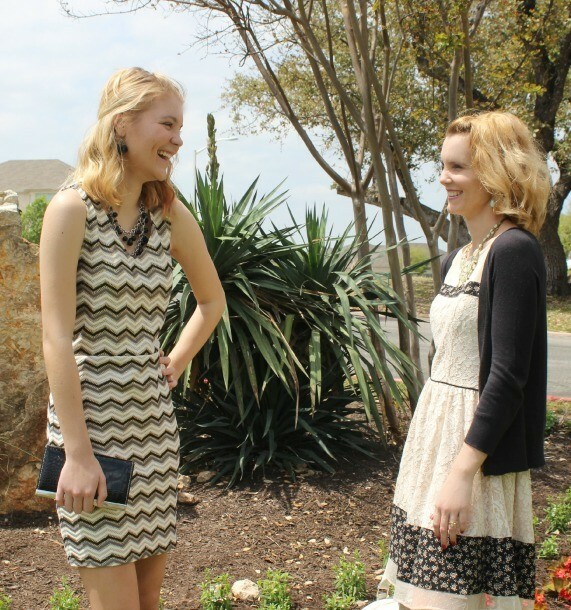 I am so excited about this Easter Dress feature because it’s a Mother/Daughter edition featuring myself and my daughter Hannah! She’s agreed to join me once a week or so for style features and I couldn’t be happier. So let’s talk Easter dresses. Every year I try to decide whether I’m going to go the traditional pastel/bright Easter colors route, or stray from the norm. As you can see from our picture above, we went nontraditional and we love it! Hannah purchased this really cute dress from ModCloth and she instantly knew she wanted to wear it on Easter. Who can blame her?! It fits perfectly and she looks gorgeous in it. 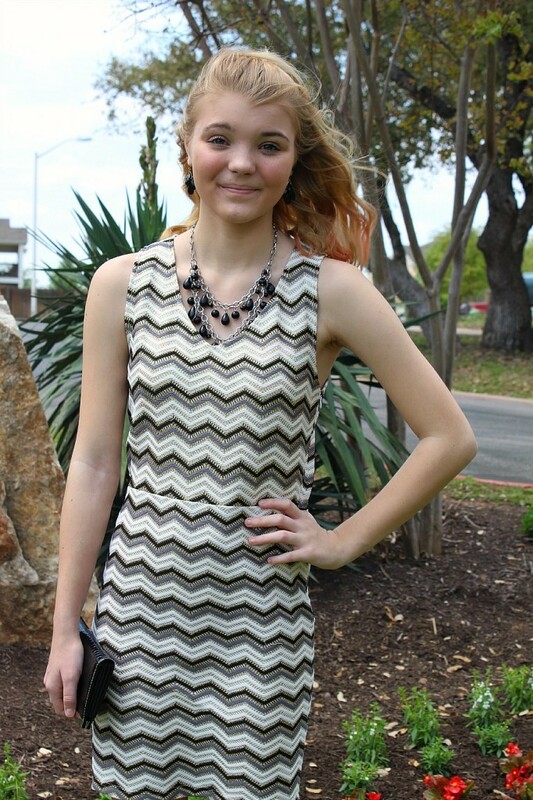 She paired it with a black statement necklace from Kohl’s, black earrings from Fuego (one of her favorite accessory stores at the Lakeline Mall in Cedar Park, Texas) black wedges and a clutch. You may recognize my outfit from my 2 Dresses, 6 Different Looks Kohl’s feature. It’s the Lauren Conrad Lace Mixed-Media Fit & Flare Dress. I think it’s perfect for Easter with the lace and floral accents. The Fit & Flare style is definitely one of my favorites this season. I’ve been purchasing them like crazy! I paired it with a necklace I’ve had for quite some time and a pair of earrings that I also purchased at Fuego. I loved the hint of green both the necklace and the earrings give. I wore a pair of black wedges and am sporting my new favorite Apt. 9 satchel from Kohl’s. I chose to wear a black cardigan over the dress because I am always cold. Always.